Since taxis are prohibitively expensive, they are perhaps the least commonly used form of French public transportation with subways, bus and streetcar being more common. Taxis can either be hailed or found at the taxi stands that are located near train stations, airports and major public squares. Taxis run on meters with fixed prices, and there is no negotiating the fee. 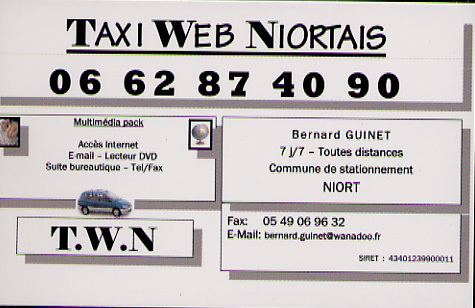 "A Taxi Offering Internet Service"